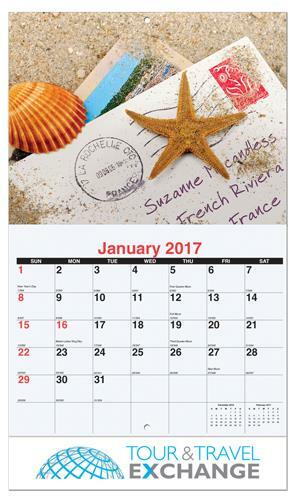 12 month individually personalized wall calendar featuring a name creatively embedded in all 12 photos. Stapled. 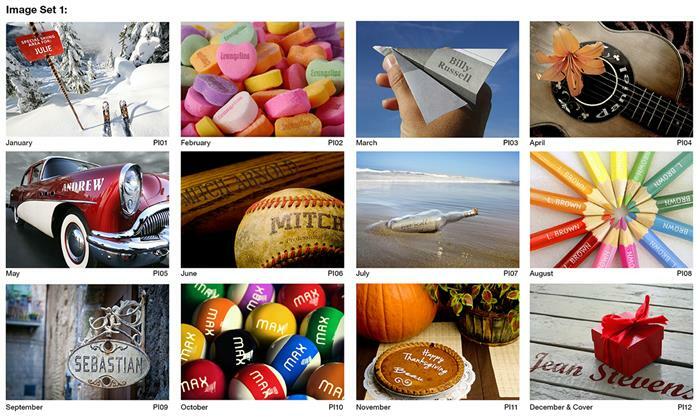 Each calendar is individually personalized with a name creativly embedded in all 12 photos. 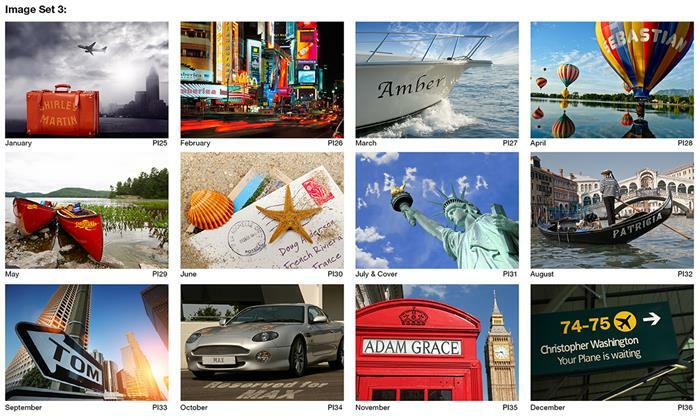 Choose image set 1, 2, or 3 (see images above). 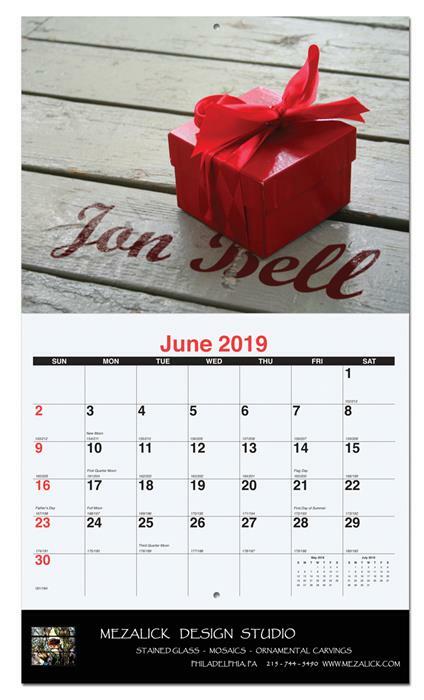 Submit your list of names (click here for spreadsheet template) and receive a unique, personalized calendar for each person. 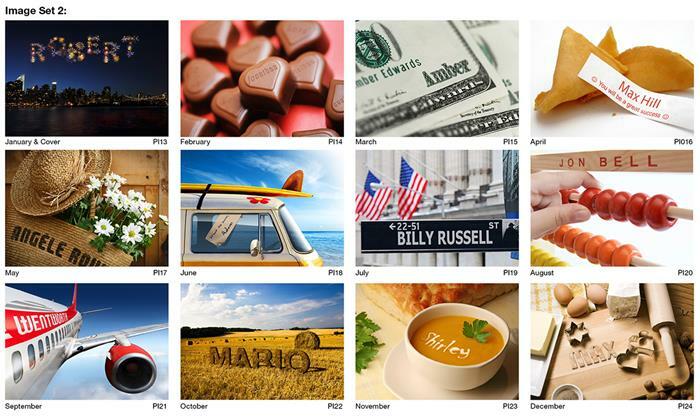 Monthly wall calendar with 12 personalized image photos. January - December (12 months) calendar coil bound with silver wire. Hole at top for hanging. 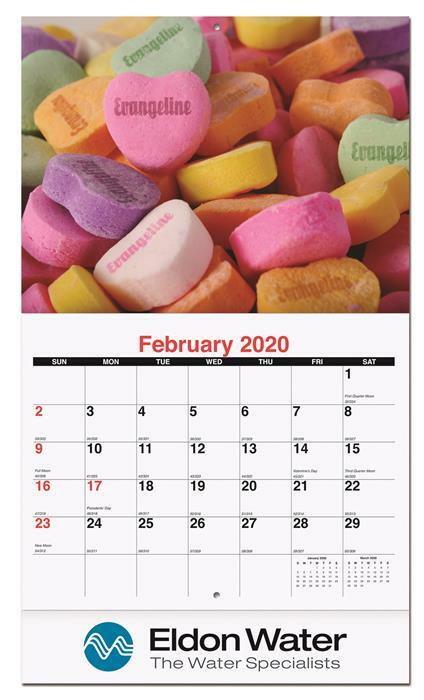 Last sheet features 2 years at a glance. Paper Stock: 12 sheets, 80lb. gloss text. Front and back cover, 80 lb. gloss cover. Photographs printed in full color with calendar printed in 2 colors. Company logo/tagline full color imprint on bottom of back sheet. Imprint Area:10" x 1 3/4"